Constance wishes she had a large Samovar. 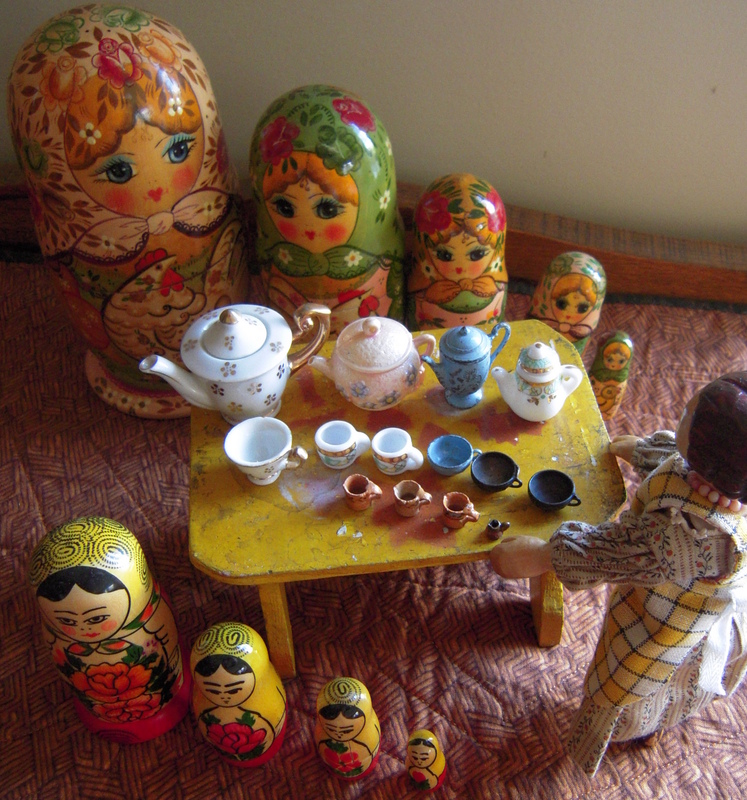 Constance dispenses restorative cups of Russian Caravan tea. Here is a link to another fan of Russian Opera. Does Constance know who the composer was? Most of Khovanshchina was composed by Modeste Mussorgsky, who also wrote the libretto… he died before he got to the end of the Opera, and it was finished by Rimsky-Korsakov in 1881-1882 just after Mussorgsky died, later a different ending was done jointly by Stravinsky and Ravel in 1913 at the request of Dhiagalev, and a later one, different again by Shostakovitch in 1959.
thank you for the info on the opera…as well as the behind the scenes at Quimper St. 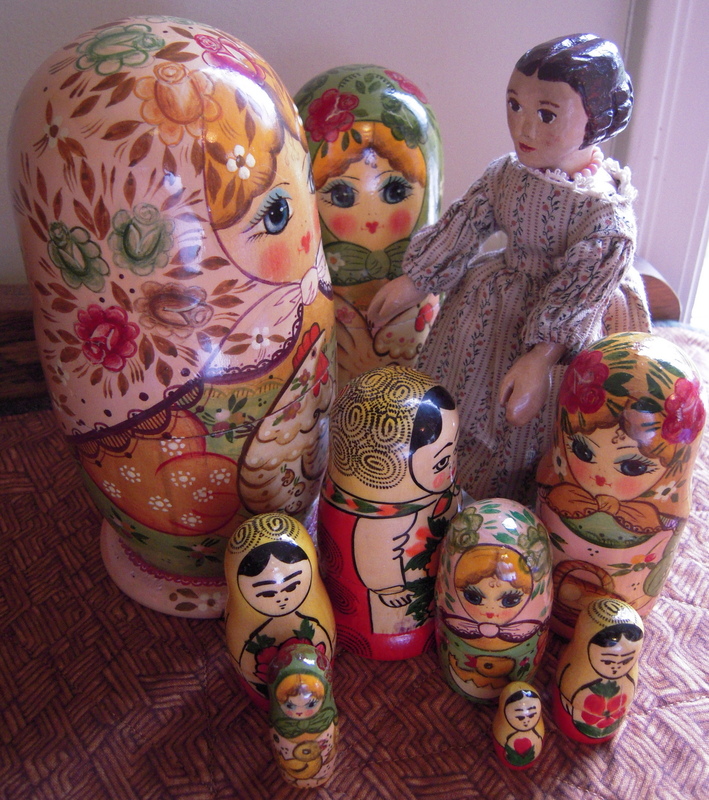 I trust the tea helped…so nicely displayed with all of the dolls in attendance! The Quimper Hittys and I feel that Tea helps improve almost any situation! Thank you Constance for a most comprehensive reply! I will share this with my mother, our family opera fan.